John Pyke is an expert in eliminating the costly, frustrating guesswork of hiring, building world-class teams and increasing performance, retention and sales. John has helped assess, coach and hire over two million people. John’s clients enjoy an 80%+ hiring success rate and a one-year, unconditional, replacement guarantee for all hires (4X the industry standard). John is a #1 international, best selling author and sought after speaker. His work has been featured on national television for unprecedented results. 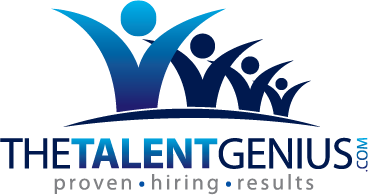 His newest book, Hire Fast, Fire Fast - How Scientific Breakthroughs Eliminate Costly Hiring Mistakes is scheduled for release in 2020. At virtually every company globally, 20% of the salespeople consistently deliver 80% of the total sales revenue and similar performance issues exist in non-sales roles as well. In a personal quest to find answers, I discovered the secret to consistent, top performance. The answer is using time-tested, scientifically validated solutions. These solutions deliver unmatched results in the areas of: decreasing turnover/increasing retention; elevating the performance of existing employees; consistently hiring top performers and building a truly world-class sales team. Some achievements include: helping a company achieve sales growth 7X their industry standard; reducing sales turnover by 24%, saving over $10M in direct costs and achieving highest sales revenue in company history in one year and eliminating a companies 80% turnover and saving over $300,000 per person in turnover costs.